Valentine’s Day is not just for new couples and first loves, it’s a great day to show the woman you love how beautiful and special you still find her, now that she’s a mother. It’s easy for postpartum moms to feel unattractive and vulnerable since the focus has shifted to the baby and she has little time for self care. She likely doesn’t feel “in the mood” for anything, and if she’s experiencing the baby blues, postpartum depression or anxiety, her mental state may also be suffering. Valentine’s Day can be a great excuse to go all out and remind her of how much you love her. Boost her self-confidence and mood with one of these awesome valentine’s day gift ideas. *This post contains affiliate and/or sponsored links which means that if you click on one of these links and buy a product, I may earn a small commission at no additional cost to you. Rest assured that I only recommend products that I love from companies that I trust. Jewelry is perhaps the most popular Valentine’s Day gift. For a postpartum mom, you can put a twist on it by getting her a piece engraved with her child’s birth date, like this roman numeral bar necklace from Sincerely Silver. Not only is it a classic and unique way to display the date that her life changed forever, but also, a piece that can be handed down to that child when they grow up. Available in rose gold or sterling silver, this personalized gift could easily become a family heirloom and would be cherished for years to come. Check out the entire line of personalized jewelry from Sincerely Silver. Aromatherapy is a great gift for any postpartum mom, as it encourages healing, mental well being and self-care. For a Valentine’s Day gift, consider some massage oils or a his and hers roll on set that you can use together. You can check out the Rocky Mountain Oils Valentine’s Day Gift Guide for more great aromatherapy gift ideas. Nothing says “I love you” to a mom better than the gift of sleep. Sleep deprivation can have dreadful effects on her mental health, so make sure that she gets as much sleep as possible (which is possible with a newborn). Turning the bedroom into a sleep sanctuary is a grand Valentine’s Day gift idea. If you’ve been considering a new mattress, there’s no better time to splurge on one than now. Try the Nectar mattress, which guarantees it’s comfort so strongly, that they give you a free trial for an entire year. The nights of cuddling each other to sleep might be long gone, but you can still get all the benefits with a weighted blanket. You can Buy One, Get One 15% off from Weighting Comforts with code VDAY14 so that you can both get a good night’s sleep. For a postpartum mom, a spa day is exactly what she needs. After the trauma on her body from pregnancy, labor and delivery, it needs some pampering. Many spas offer deals and discounts on couple massages around Valentine’s Day. Or make it simple and get her a Spafinder gift card so that she can book the spa day of her dreams. Click here for more spa day gift ideas, including local promotions and travel deals from SpaFinder Wellness 365. Plus get 20% Valentine’s Day Gift Card purchases with code 20BEMINE. The addition of a new baby means your family dynamic has changed forever. It’s time to get a family photo done, or even just a candid shot of mom and baby. It’s one thing to have a million and one photos on your phone or computer, but printing them out, framing them and hanging them up on the walls is a great way to make those memories last. A meaningful Valentine’s Day gift idea would be to get a favorite photo printed on canvas or framed. Babies grow so quickly, so being able to look back at this time is a great way to remember the love and joy from these early days. Makeup and beauty products will slowly fall to the bottom of the shopping list, following diapers and baby food. It’s a natural progression and many mothers are happy to do it without complaint. So what better time than Valentine’s Day to restock her makeup bag and let her pamper herself for once? Lotions, lipsticks, nail polish and perfume are all simple gifts that are easy to buy for anyone. Even this microblading eyebrow pen is a quick and easy gift that will help her get perfect eyebrows will little effort. Gift cards are always a welcome option, so pick one up for Sephora, Nars, her favorite nail salon or even the local drugstore. Whatever option you choose, top it off with an extra $10 by using a cashback program like Ebates or earn points with Swagbucks. A trip to Mexico might not be practical for a newly postpartum mom, but a romantic getaway can come in many forms. The postpartum period is tough on relationships, so spending some time together can help you connect. Whether it’s a night at a hotel, a weekend at a resort or a drive out to the country – take the time to be with each other and concentrate on something other than feedings and diapers. Check out all kinds of different getaway ideas for great deals on Tripnado. The Mommy Mailbox – a box full of things designed specifically to brighten up a mom’s day! 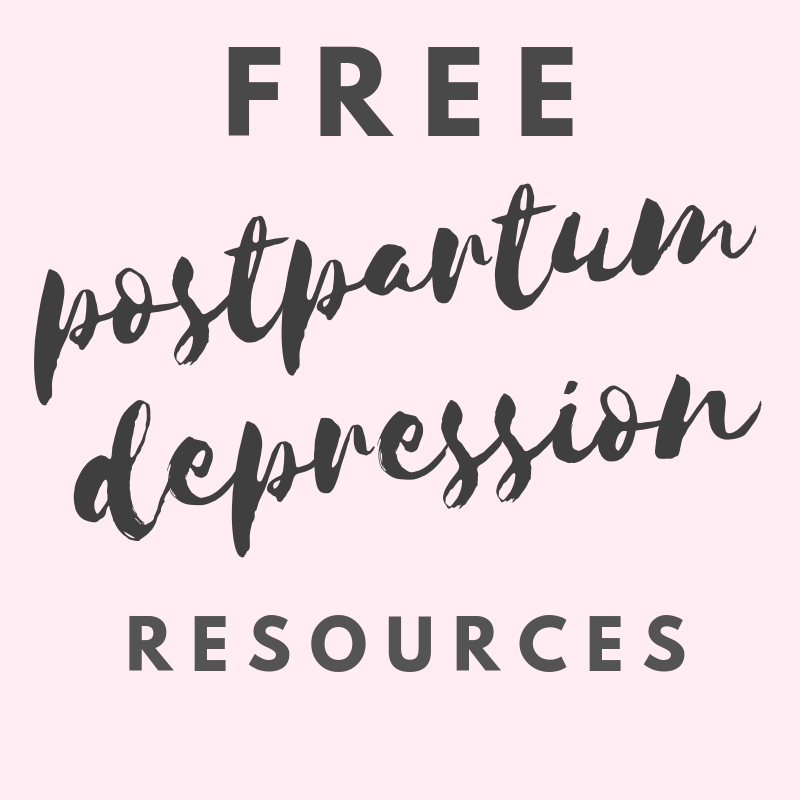 You can choose a subscription up to 6 months to help get her through the difficult postpartum period. Blume – This is the ultimate self-care subscription box! Postpartum moms can dread the return of “that time of the month” because they haven’t had to deal with it during their pregnancy (and possibly longer if they were breastfeeding) so it becomes just one more thing they need to worry about. Take the stress out of it with this monthly subscription box that includes organic pads and tampons, specially formulated cramp oil, acne and face washes and more! InstaCandy – Take the box of Valentine’s Day chocolate up a notch with a regular monthly delivery of candy.